The North West Doctoral Training Centre was the largest Economic and Social Research Centre (ESRC) funded DTC in England, comprising the Universities of Lancaster, Liverpool and Manchester. We continue to support current students who were granted funding between 2011 and 2016. In 2016 the consortium expanded to include Keele University, and was renamed the North West Social Science Doctoral Training Partnership (NWSSDTP). Find out more about the North West Social Science Doctoral Training Partnership (NWSSDTP), funded by the Economic and Social Research Council. 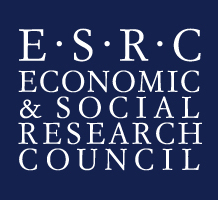 The ESRC is the UK’s largest organisation for funding research on economic and social issues.